And the memes keep on coming. I was even forced to play the 2012 Bleksem feat Krazy Boy song ‪- How Low Can You Go‬. The song will be on replay today. 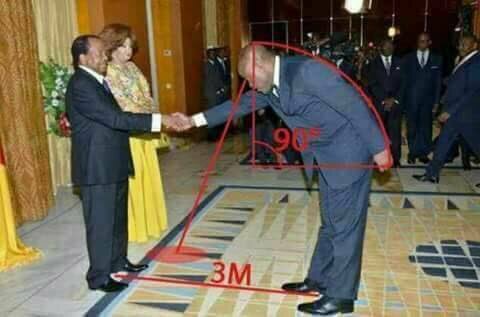 The question will be how low can you go in greeting an honorable man. 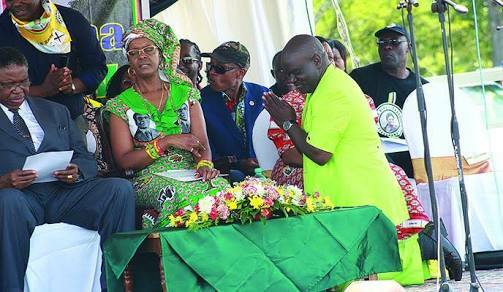 In Zimbabwe we have seen Ministers kneel for the firts Lady Dr. Grace Mugabe. 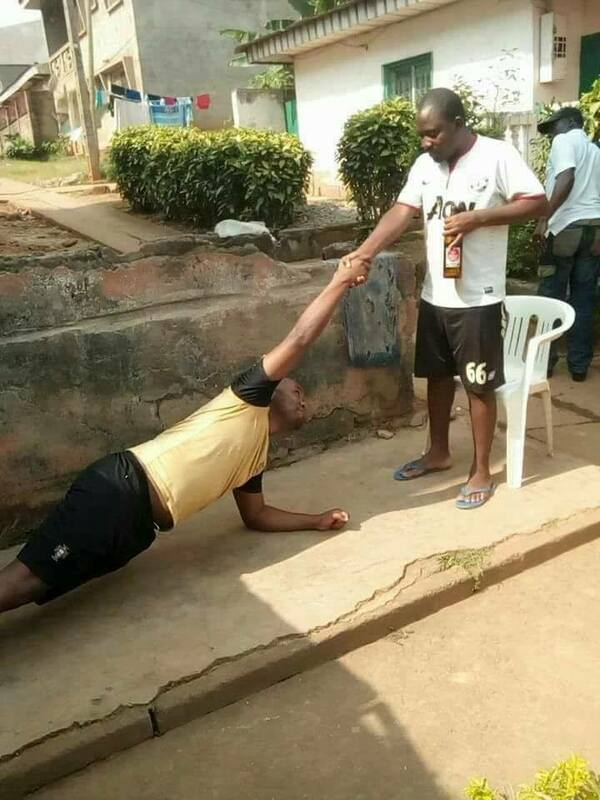 There was the Ice Bucket Challenge, then there was the Mannequin Challenge, now from Cameroon comes the Bidoung Challenge. 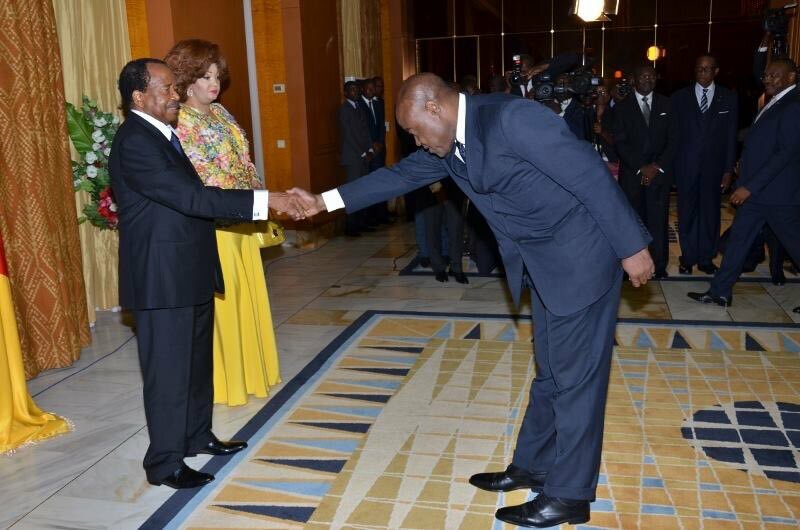 When Cameroon’s Sports Minister Pierre Ismael Bidoung Mpkatt bowed and shook the hand of President Paul Biya, the image of the greeting went viral. The hashtags #BidoungChallenge and #CourberdosChallenge meaning to bend the back, have been included in 11,000 tweets. 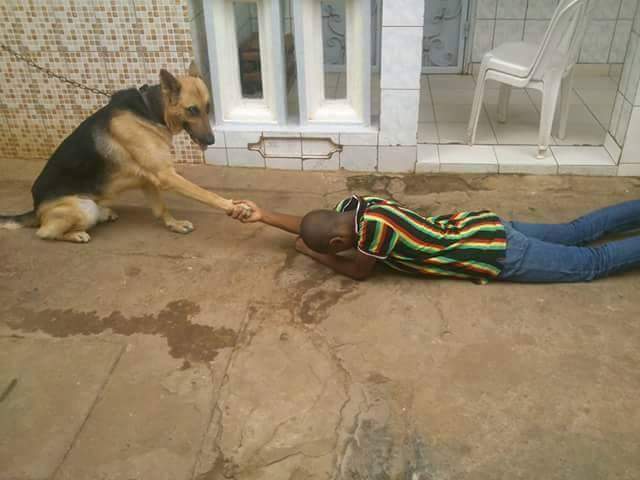 Cameroonians have been recreating the image as well photoshopping the original on social media. One user on Twitter added some geometry to illustrate the angle and distance of the bow to the subject.